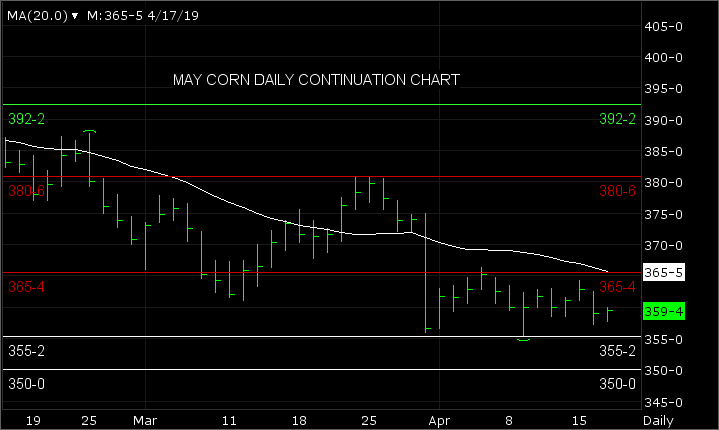 Lower trade overnight with little fresh news of any bullish significance at present. U.S./China talks continue to string along and export demand also seems to continue to slump. 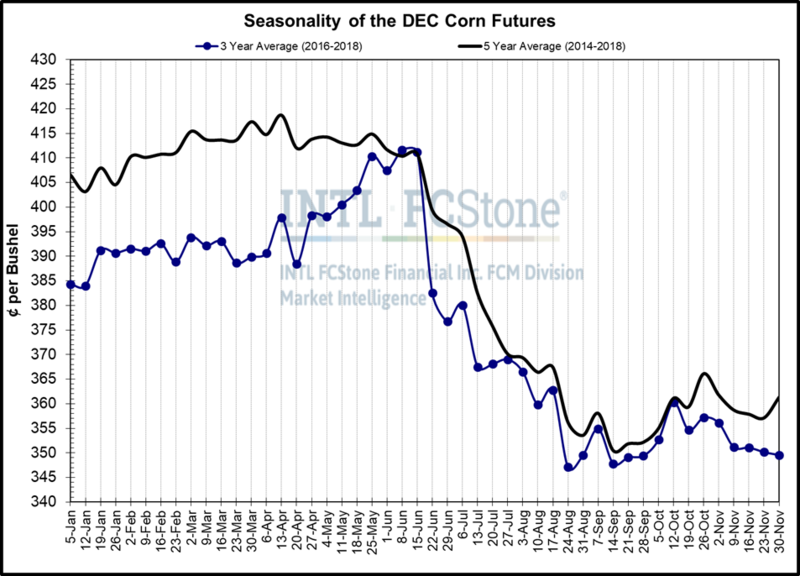 The funds have built a huge short position in corn with estimates as of Friday’s close at 331,887 contracts (1.659 billion bushels), soybeans they are short 95,744 contracts and Chicago wheat futures they are estimated to be short 68,970 contracts. U.S. trade negotiators travel to China the week of April 29th for the seventh round of face-to-face meetings. China’s trade team will travel to U.S. the week of May 6th with hopes of finalizing a deal late May or early June. Has the China/U.S. talks taken too long? Estimated corn plantings by traders is at 8% complete (3% last year, 6-year average at 12%). Soybean plantings expected at 2% (2% five-year average). Hard Red Spring wheat plantings at 8% (25% five–year average). China confirmed multiple outbreaks of African swine fever in two locations in Hainan province, an island off the southern coast which it had hoped to keep free of the contagious disease. African swine fever has now been found in every province and region on the mainland, including Hainan island, since first being detected in August 2018. The new outbreak suggests that the situation is "out of control," said Yao Guiling, a livestock analyst with Guan tong Futures. Quick look at CN and SN against a year ago. We have jobs! Siouxland Energy is currently seeking applicants for Shift Operator and Boiler Operator. Learn more about these jobs and fill out our new online application at www.siouxlandenergy.com/employmentapp! We are currently offering a $1000 Sign-on bonus after 6 months of employment! Siouxland will be offering "Free Price Later" delivery starting Monday December 3rd! This room will be based on first come first serve, if space starts getting filled up we may need to slow deliveries. If you have any questions please give Tom E a call 722-3906. Take all the guess work out of marketing your corn! Call and ask about Siouxland Energy's new Averaging Contract!! !